Global Impact Ministries is nonprofit, Christian, charitable, 501[c] organization based in Rockford, Illinois, USA. The Orphan and Street Children Outreach was started in 1997 when Amy Muranko was traveling in the Ukraine and was deeply impacted by the need of so many children in that country. 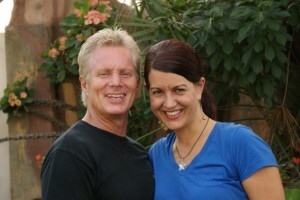 Amy decided to open a division of the ministry dedicated to helping orphans and street children. Further travels into other countries reinforced the urgent need of millions of these children worldwide. To date the Christmas Outreach has held yearly Christmas parties for orphanages in Burma, Pakistan, Mongolia, Ukraine and the Philippines. Today, it is Amy’s goal to expand the work throughout the whole globe. Programs and projects are being implemented to bring food, clothing, and education to the children, youth and single mothers. Individuals, organizations, businesses, and churches are teaming together through the newly introduced Education Sponsorship program to fund individualized life changing educational opportunities for individuals from all back grounds. It is Global Impact’s desire to mobilize an ARMY of COMPASSION, consisting of a network of people from all walks of life who want to make a difference in the world. By joining the ranks of this army, people are making an impact in their global neighborhood today.